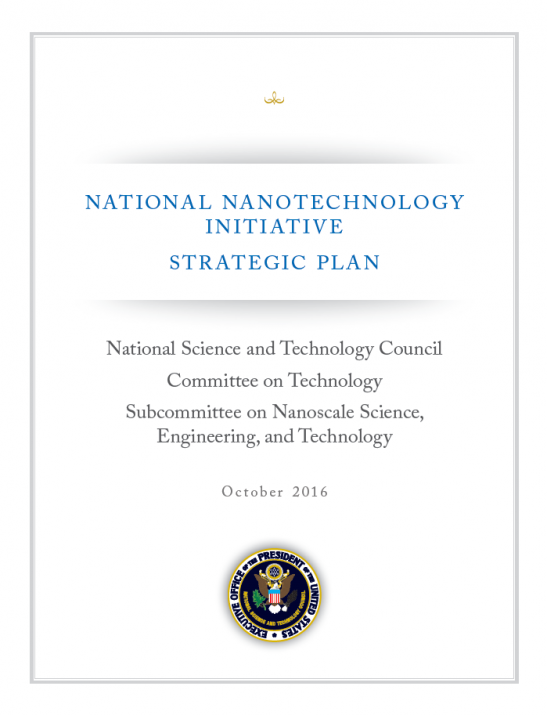 The NNI, a collaboration of twenty Federal agencies and departments, has enabled groundbreaking discoveries that have revolutionized science; established world-class facilities for the characterization of nanoscale materials and their fabrication into nanoscale devices; educated tens of thousands of individuals from undergraduate students to postdoctoral researchers; and fostered the responsible incorporation of nanotechnology into commercial products. NNI investments together with those of industry have transitioned nanotechnology discoveries into a variety of commercial products including apparel, consumer electronics, sporting goods, and automobiles. Nanotechnology is poised to revolutionize the way we diagnose and treat disease, improve our health and fitness, and enable human exploration of Mars. Looking toward the future, nanotechnology is moving from a fundamental research area to an enabling technology that can lead to new materials, devices, and systems that will profoundly impact our quality of life, economy, and national security. The strong collaborations built under the NNI will be critical in sustaining an ecosystem that invests in the next breakthroughs in nanoscale materials and devices but also promotes the effective and responsible transition of nanotechnology discoveries from lab to market.